Investing in a roof is a big undertaking and can set you back a good chunk of change. That is why it is important to find a legitimate roofer with a strong reputation to take on your project. It is not always easy to find a reputable roofer, but it is not impossible. With the right knowledge of what to look for when seeking out a roofer, you’ll be one step closer to finding the right team. Check out these tips that can help you spot a fake roofer or a roofing scam and find a legitimate roofer. Not all roofers offer the same services or have the same qualifications. Legitimate roofers should have insurance, both workers’ compensation insurance, and liability insurance. A roofing company that means business and is worth looking into is one that has insurance coverage. This is an important in the roofing business and when people are working on your property. You want to avoid being held liable for any damages on injuries that could occur while roofers are working on your property. If you want to put your trust in a roofing company, check to see if they are certified. A legitimate roofing company will possess training and certifications that grant them the right to operate as a roofing company. Having a qualified team, with the know-how to get the roofing job done right is what you need to ease your worries. A reputable roofing company should have no qualms about showing their roofing certifications when asked. A good reputation can signal to you if a roofing company is legitimate. You have the charge of verifying the integrity of a roofing company, and with so many companies with an online presence, you can find useful information that can help you to make your decision. Look up a roofing company’s rating and reviews to hear what past customers have to say about their service and performance. You can use Google as a source or check with the Better Business Bureau for a roofing company’s rating. If you have friends or even neighbors that have used a roofing company that you are interested in, get their scoop on the company. With their firsthand experience, you can learn much about the company, including why you should choose them or avoid them. Maybe they have used a company that isn’t on your list and could give you suggestions. There are many roofing companies out there that are ready to meet your needs. To avoid getting scammed, be sure to work with a trusted roofing professional like E.M. Snow. We can be reached over the phone at (781) 893-4546 or by filling out our online contact form! We look forward to hearing from you and assisting with your roof replacement needs! Vinyl siding has long reigned supreme in the Northeast as the premier siding option, but there is another option that has been gaining in popularity as of late, Fiber-Cement Siding. Fiber cement siding provides a number of benefits to homeowners who choose to have it installed on their homes. Take a look at its benefits below! Fiber Cement siding has a much longer lifespan than vinyl siding. While vinyl siding typically lasts for 20-30 years, fiber cement generally lasts for at least five decades, and potentially even longer with proper maintenance. This makes it one of the longest lasting siding materials on the market. Fiber Cement siding is renowned for its durability. It’s composition makes that it non-flammable, resistant to cracking, rotting, swelling, breaking, extreme weather, pests, and anything else Mother Nature can throw at it. It’s seamless design also means that it’s very resistant to moisture damage, which Eastern Massachusetts residents will appreciate, living so close to the ocean in such a windy state. Fiber Cement siding is highly customizable. It is available in a variety of color options straight from your manufacturer, which in our case is James Hardie. In addition to the factory colors, you can also order primed fiber cement boards that can painted on site. 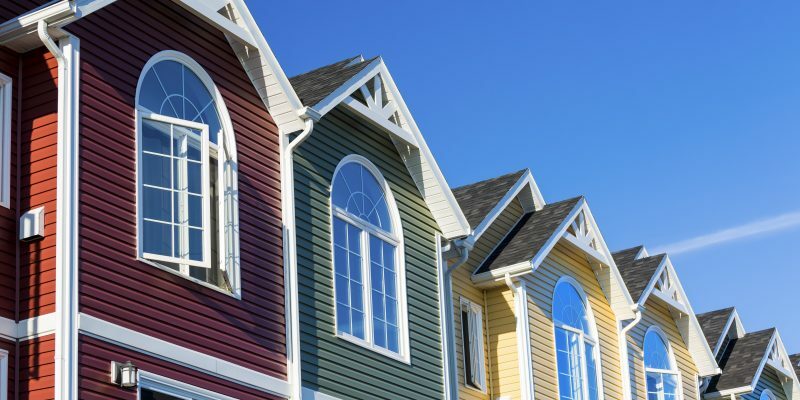 While it won’t last as long as a factory finish, painting your siding yourself should hold up almost as long as the factory, and it allows you to customize your siding any way you choose. In addition to the color options, fiber cement siding is also available in a variety of texture options. 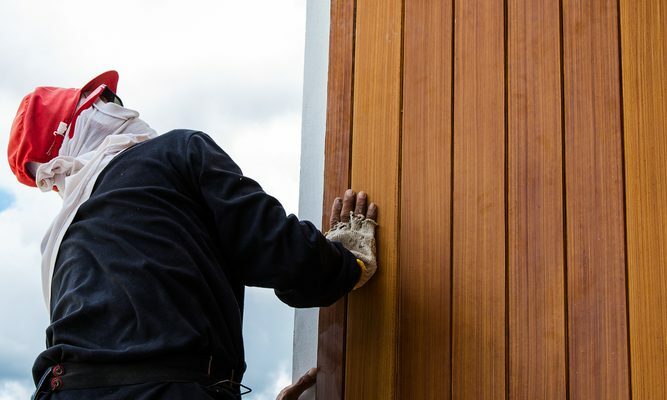 If you love the look of natural wooden siding, but you don’t want to deal with the damage it receives from the elements, you can opt to install fiber cement siding that has a natural wooden look. This next benefit may seem a bit misleading. Fiber Cement siding has a higher installation cost than vinyl siding. It is more expensive to produce, and more difficult to install, which makes it at the more expensive siding option at face value. However, what makes fiber cement such an enticing option from an economic stand point is its longevity. Fiber Cement can easily last twice as long as vinyl siding, and while it is a more expensive option, the fact that you will likely only need to install it once over the life of your home. While the manufacturing of vinyl siding requires the use of fossil fuels, fiber cement siding is made from partially recycled materials, which means it is a green option if you are looking to replace your siding with a more sustainable material. Furthermore, its longevity means it doesn’t fill up landfills like vinyl siding, and although the industry is still developing, it appears that there is potential for fiber cement to be recycled at the end of its lifespan. All-in-all, it is a far more environmentally friendly option than vinyl siding. Interested in learning more about the our fiber cement siding installation services? Reach out to our team at (781) 893-4546 or by filling out our online contact form. We look forward to hearing from you! Asphalt shingles have long been the standard of the roofing industry, holding their title as the most popular roofing material in the United States for decades. They offer a variety of benefits for homeowners, but they also come with their own set of drawbacks. 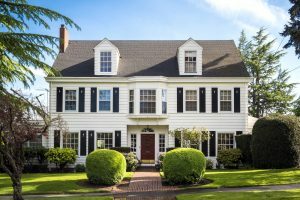 Take a look at this guide to learn more about the pros and cons of asphalt shingle roofs and find out if they are the right option for your home! Cost: If you are interested in replacing your roof on a budget, asphalt shingles are your best option. 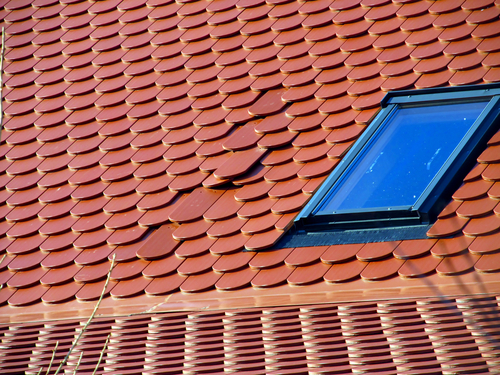 They are inexpensive to manufacture, which results in an economical roofing option for homeowners. Easy Installation: When it comes to installation, there is no easier roofing material to install than asphalt shingles. Slate roofing is heavy and brittle, which makes it easy to break. Metal roofing is complex to install, which makes it easier to install incorrectly. If you are able to find a contractor who installs roofs, they most likely work with asphalt shingles. If you are interested in installing a roofing material that just about any contractor will be able to work on, asphalt shingles are your best option. 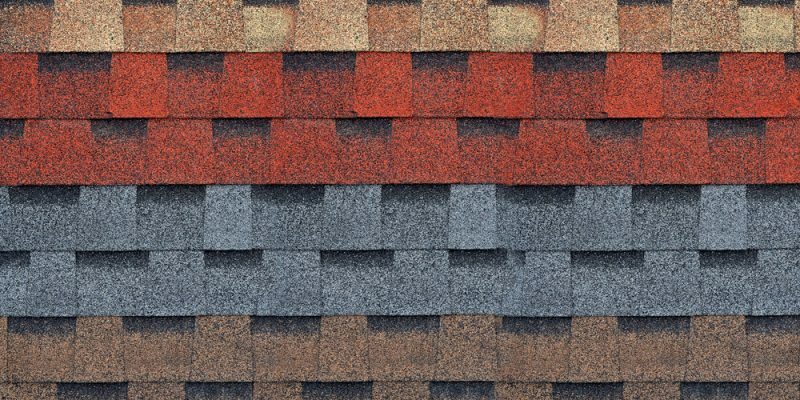 Aesthetics: Asphalt shingles are available in an enormous array of style and color options. If you are interested in using your roof to help create a particular aesthetic for your home, asphalt shingles are your best bet. With so many manufacturers, you can find asphalt shingles in nearly any color or style, and at any budget. This makes them fantastic if you have a particular style in mind for your roof. Long Lasting: Asphalt shingles longevity can vary greatly depending on the quality of the shingle On the low end, inexpensive asphalt shingles might only last for 15 years or less. However, if you are willing to spend a bit more for a higher-quality product, there are asphalt shingles that have the potential to last for 50 years or more! Overall, the average asphalt shingle lasts for about 20-30 years, meaning you may only need to replace your home’s roof once! Environmental Impact: If you are interested in choosing an environmentally friendly material for your home’s roof, there are better options. The manufacturing of asphalt shingles requires the use of asphalt shingles, which makes them an unsustainable option. Additionally, while slate and metal roofing are recyclable, asphalt shingles are not and they end up comprising a large portion of the United States annual waste, with some estimates placing the number as high as 5%! If you are interested in installing a roofing material that lowers your home’s carbon footprint, there are better options than asphalt shingles. Maintenance: Asphalt shingle roofs require periodic maintenance to keep up. You will need to clean debris off of your roof, and out of your gutters, clean off any algae or moss growth that occurs on your roof, and also periodically examine the flashing to ensure that your roof deck isn’t amassing any water damage. Have more questions about installing asphalt shingles on your home? Reach out to our team at (781) 893-4546 or by filling out our online contact form! We look forward to helping you with any of your roofing needs! When it comes to rot, there are two kinds that can affect your deck. The first is the most obvious, your run-of-the-mill rot. 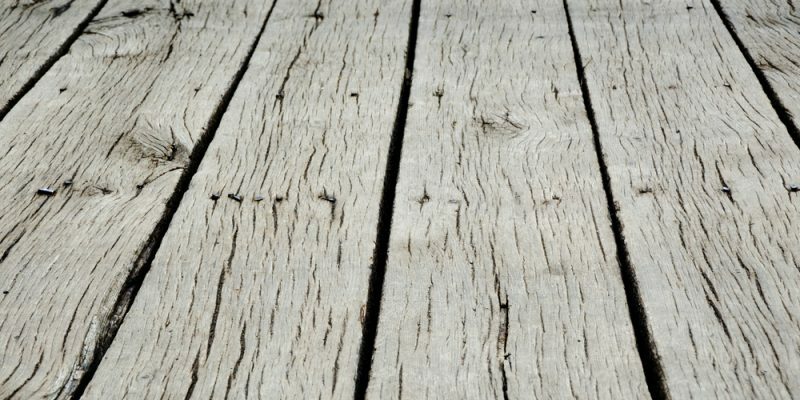 If you deck is exposed to high levels of moisture, and especially if it wasn’t finished properly, moisture will make its way into your boards and cause havoc to your decks frame. However, there is another kind of rot that can affect your deck called Dry Rot. Dry rot occurs when fungus gets into your decks boards and eats away at the cellouse in the wood which gives the deck its strength. Dry rot appears in long sheets, either grayish or white, and will make its way through your whole deck if left to spread. Another sign that your deck needs to be replaced is if your railings are loose. While you may be able to get away with simply replacing the loose railings, they may be a sign that you have some rot damage in your deck. At the very least, loose railings are a safety hazard, particularly for children, and you should replace any loose railings as soon as possible. If you find any cracks in your deck boards, its a sign that the wood is nearing the end of its life. While the wood may not fail today, or tomorrow, it will in the near future, and it could cause injuries to someone if left to continue cracking. While minor cracks are nothing to worry about, if your boards are splitting down the middle, consider replacing them to increase your decks lifespan. Your ledger board is what attaches your deck to your home. If your ledger board is breaking away from your home, or if your deck is breaking off of your ledger board, you will need to replace the board as soon as possible. If your ledger board fails completely, your entire deck could fall away from your home. Even if your deck itself is in perfect shape, if your ledger board fails, you could lose your whole deck. Therefore, if you notice that the board is failing, be sure to replace it as soon as you can. 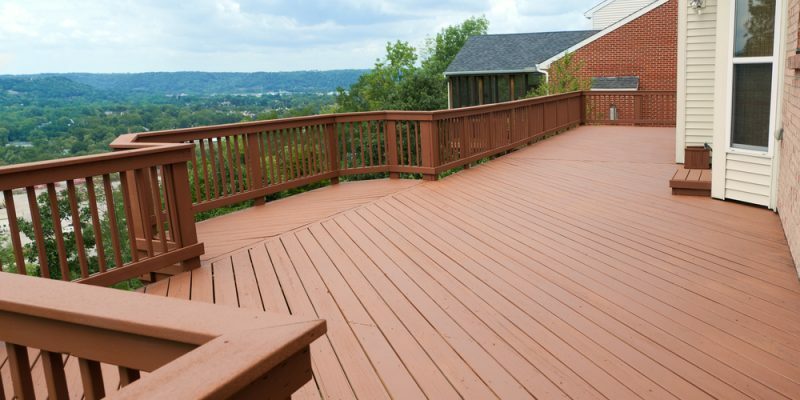 Have more questions about replacing your deck? Reach out to our team at (781) 893-4546 or by filling out our online contact form! We look forward to hearing from you today! Here at E.M. Snow Inc we offer two kinds of siding: James Hardie’s Fiber Cement siding, and CertainTeed’s Vinyl siding. If it’s time to replace your siding, you may be comparing your options, but are still unsure of which one you should use for your home. Both kinds of siding offer distinct advantages over one another, and this guide will help you explore which option is best for your needs! When it comes to customization, there are few better options than fiber cement. It can be designed to look like wood or stone, among other materials, which makes it a very versatile option. Fiber cement is also more fire resistant than vinyl siding because it’s made from a mixture of cement and cellulose fibers. This makes it harder to burn or melt than vinyl siding. Fiber cement is also far more impact resistant than vinyl siding, which is very thin and easy to puncture. The other major advantage that fiber cement offers over vinyl siding is it’s eco-friendliness. Whereas vinyl sidings creation process requires the use of fossil fuels, fiber cement is made of more sustainable materials, making it the more eco-friendly option. While fiber cement is slightly more customizable, vinyl siding also offers the opportunity to customize its appearance to resemble other siding materials. However, fiber cement is still the more durable option, and if you are trying to give your home siding that resembles stone or brick, fiber cement will look far more realistic than vinyl. One major advantage that vinyl siding offers over fiber cement is its energy efficiency. While it is a close competition between the two, vinyl siding edges out fiber cement due to the fact that vinyl siding can be fitted with extra insulation, although it’s not a standard option on all vinyl siding. However, if you opt to get the siding that comes fitted with it, it will be more efficient than fiber cement. Finally, when it comes to cost, vinyl siding is certainly the more economical option. If you are trying to replace your siding on a budget, vinyl siding is a better option than fiber cement. While fiber cement arguably looks better than vinyl siding does, it is considerably more expensive, which can make vinyl siding the more attractive option for homeowners. Both fiber cement and vinyl siding offer advantages over the other. Vinyl is more affordable and has the potential to be more energy efficient, while fiber cement is more visually appealing and environmentally sustainable. Ultimately, both options are great choices to re-side your home. The option you choose is mostly dependent on your budget and aesthetic tastes. If you need more help deciding which one is right for you, reach out to our team at E.M. Snow Inc at (781) 893-4546 to discuss the options we have available! Our highly-skilled team will be happy to provide you with more direction to help you make sure you’re thrilled with the product you decide upon! Checking your windows may not be on the top of your to-do list, but maybe it should be. You may need new windows and not even realize it. The signs that your windows are due for a replacement may not be so obvious. It’s relatively easy to spot dated or severely damaged windows, but other signs may go unnoticed. If you know what to look for, you’ll be better able to determine when you are in need of new windows. Here are some signs that it’s time to replace your windows. 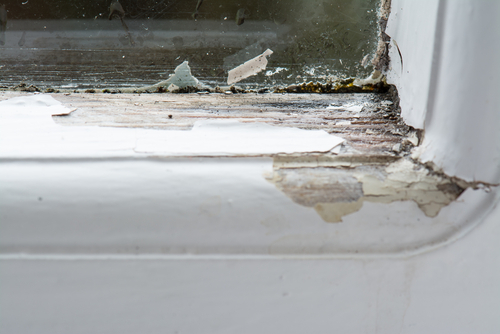 Decaying window frames are one of the most obvious signs that your windows are due for a replacement. Moisture exposure and accumulation can ultimately cause serious decay of the frames, which can turn into a safety issue. Rotten wood frames, for example, can begin to grow mold which impairs the structure and also poses a health risk to occupants in the home. Furthermore, rot can spread and affect other areas around the window. If you notice that your energy bill is particularly high, your windows may have air leaks, which causes you to waste a lot of your energy dollars. A sure sign of drafty windows is feeling a breeze when your windows are closed, which could indicate that there is an issue related to poor installation or faulty seal. According to Energy.gov, drafty windows can cause roughly 10% to 15% increase in your energy bills. Check your windows for air leaks, and if found, it’s time for a replacement with more energy-efficient options that can reduce your heating and cooling costs. You made have difficulty opening or closing your windows, which could be the result of some causes. Proper maintenance and upkeep may have been neglected, or they may not have been installed correctly in the first place causing an issue with balance. A simple cause could be an accumulation of dirt, dust, and debris over time, which worsens and increases friction, making the windows hard to open and close. When your windows are closed, and a lot of noise still comes through from the outdoors, this may be the result of incorrect sealing or poor craftsmanship. If sound blockage is important to you, then it’s time to replace your ineffective windows with ones that provide noise reduction. E.M. Snow, Inc provides industry-leading quality windows and exceptional service. We can help you to enhance the beauty of your home and increase energy efficiency and make your property stand apart. So you’ve made the decision to replace your siding. That is great! The only problem is, you don’t know where to go from there. You’re not sure what siding you want or what look will best suit you and your home. For the first dilemma, we recommend you click here for advice, but for the latter, we’ve compiled some basic color and texture coordination tips to ensure that your home stands out for all the right reasons! Probably the most simplest way to match your siding is to have it in one color consistently throughout. It creates a simple, clean look that isn’t too busy, and allows room for other things like your gardening or your stonework to stand out. It is generally recommended that you go with a lighter color like white or a neutral brown when choosing this scheme, as going too dark can run the risk of being too heavy. Lastly, this is a look best suited for a home with lots of windows spaced throughout, as not having enough elements to break up the single color can leave things looking a little blank. If you like keeping things in a single color scheme but find that one single color is a little too bland, you can make things a little more interesting by bringing in a slightly different shade in another portion of the house to accentuate it, without making it too bold. This makes it super easy to color coordinate it while still keeping it neutral and not too busy. Do you have some brick or stonework on your home? Choose a color that is similar to it, and bounce between that and the siding to introduce a little more depth and texture. Maybe you don’t want to blend in. Maybe you want to be the focal point of your neighborhood, and catch the attention of passerby. Well in that case, your best bet is to go bold! Pick a neutral shade as a foundation for your look, and from their pick an opposing shade to highlight certain facets of your home. If you have brickwork or stonework involved, pick a neutral shade that matches it, or go even further and have both siding colors contrast it to make it a 3 way color scheme! Just be careful when you go down this route, as playing with too many colors and textures can easily turn a home’s appearance into a jumbled mess. Best get a few second opinions from some friends/family with good taste, or better yet, ask one of our contractors for their opinion! Overall, what you choose for your siding should ultimately boil down to your personal preference and how you want to project your home to the community. We understand that this can be a daunting task, and that juggling this alongside all the other hassles that come with making decisions for siding can make things overwhelming, That’s why we over at E.M Snow Inc. are commited to handling the job to make it seamless and hassle-free for you. Our contractors, with over 50 years of experience between all of us, are more than ready for any task you throw at us. If you feel we can be of help, contact us or fill out an inquiry form. And FYI: our exterior decoration advice comes for free! Siding is a staple in your typical American home, not just for aesthetics, but for its function as a shield against elementals like rain and debris, and for its purpose as an insulator. However, there will eventually be a point where it will have to be replaced in order to ensure the integrity of your home. Not sure as to whether it is worth doing? 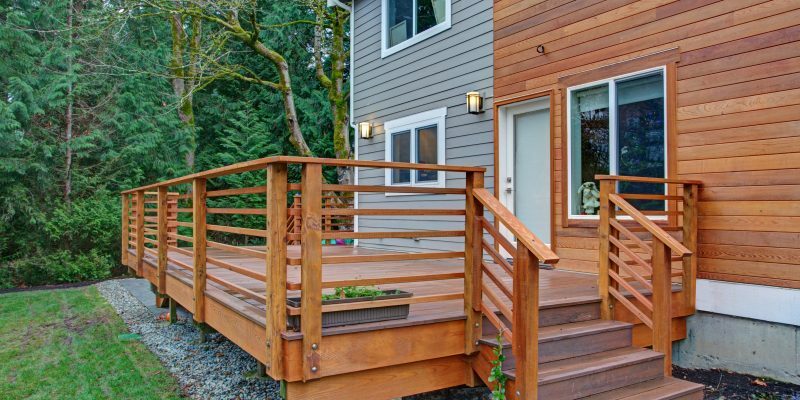 Here are 3 major reasons why you should consider replacing your siding. A good looking home will always be perceived as more valuable and appealing, and a fresh wall of siding will always contribute significantly to that. Siding will make your home look brand new, and with the large variety of sidings available, you can tailor the look of your home to be anything you want it to be. It will especially come in handy when you wish to sell the property, as a fresh looking exterior is a surefire way to increase market value. The process of replacing siding pulls double duty, for removing the old siding gives you a look at the state of your walls beneath. This is helpful because sometimes structural damage isn’t visible externally, and as a result wouldn’t be noticeable to the untrained eye. Some forms of damage include delaminating plywood, deteriorated studs, or floor framing. If left unattended, this can seriously damage the integrity of your home, and become very expensive to fix. 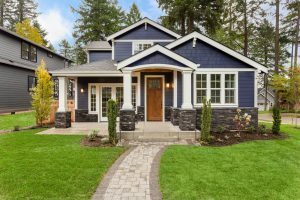 Therefore, it is recommended to take the unique opportunity to repair the problem outside while the siding is removed, to avoid having to dismantle the interior of your home. With all your structural damage fixed and your new siding installed, prepare to reap the benefits of increased energy efficiency. Having a thoroughly sealed home allows you to keep your home heated at less cost. To further improve this, you can add foam insulation to trap more heat within your home, and you can also add a house wrap to the project to keep wind and moisture out. A good siding job can result in a beautiful, valuable home that is high in structural integrity and low in energy costs. Therefore, it is recommended to update the siding of your property as soon as it is reasonable to. Here at E.M Snow Inc. we offer several options and styles for siding, and are committed to making your home as aesthetic and functional as possible. One of the most common mistakes we experience when working on roofs are damages made by homeowners. 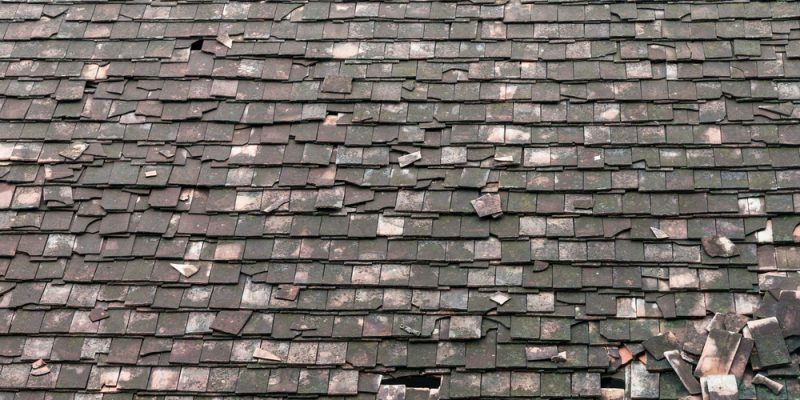 We understand some damages can be fixed if you’re usually a handy type person in the house but unless you’re a professional roofer, some things should be left as they are. Here are the common mistakes homeowners make with their roof. Doing it yourself with no experience. This is a bad idea from the start. No matter how many tutorials you’ve watched trying to repair your roof with no experience is very dangerous. Roofing is not something you can pick up in a matter of hours; it’s a skill developed over time, best understood only by someone who’s been doing this for over 50 years like E.M. Snow, Inc. Other encounters we face from homeowners are unfinished projects; this could be due to many reasons like suffering from an injury, problems occurring mid-project, or even overspending their budget because it was more affordable doing it yourself than hiring a professional. Hiring an inexperienced roofing contractor. Upgrading your roof is one of the biggest investment you will have to make. Taking the time to research for a reliable and trustworthy contractor is highly recommended. However, due to cost, homeowners opt to work with contractors that are cheaper which in result leave them with a poor job and will have to pay even more to fix the damages when it could have been prevented at the very beginning. Think about the long-run not the short. Your roofing contractor will have the best knowledge on what type of shingles that not only look visually pleasing but also fits within your budget. Although, you may come across some great deals online or brochures, keep in mind, that your roofing contractor will be the ones who will be installing them. They have the years of experience of installing and replacing all types of materials to determine which products are highly rated for your Massachusetts home.